The show is curated by the talented Dexter Wimberly (curator of The Box That Rocks, Round Zero and more). 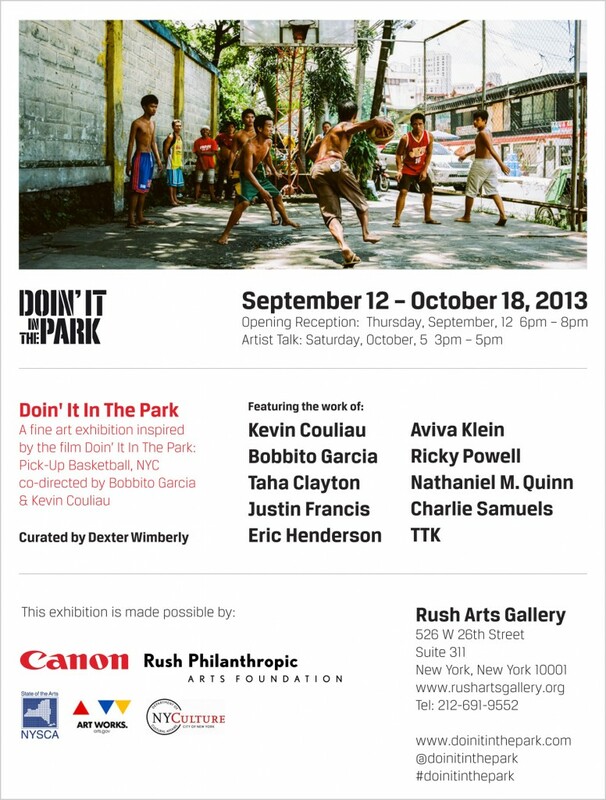 As TTK’s representative I can assure you we are excited to be a part of #DoinItInThePark! Danny and Russell Simmons RUSH Arts Gallery is located at: 526 W 26th St, New York, NY | Tel: (212) 691-9552. You can share the flyer below with friends.